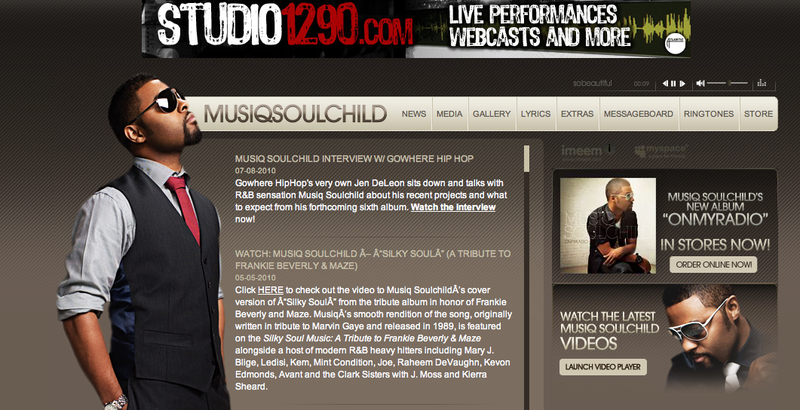 Take a look at the headline of Musiq Soulchild’s website! GoWhere Hip Hop and Jen DeLeon! So speechless.